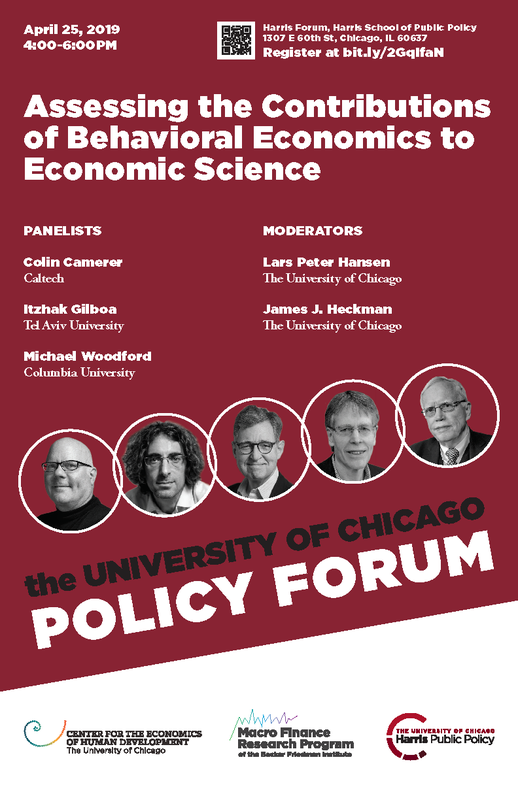 Chicago Economics has historically fostered intense discussions for the design and implementation of economic policy and the role of theory in guiding interpretation of evidence. Both are distinctive to the Chicago approach to economics. The forum will nurture the rich vitality of the Chicago tradition by engaging elite scholars on and off campus and will raise the level of discussion of economic policy based on credible statements of existing knowledge. Economics is judged ultimately by how well it helps to understand the world and how well we can help improve it."